Hahaha! I crack myself up. One of the fun things about being a SweatPink Ambassador is being able to try out products that may work for my fitness and health! 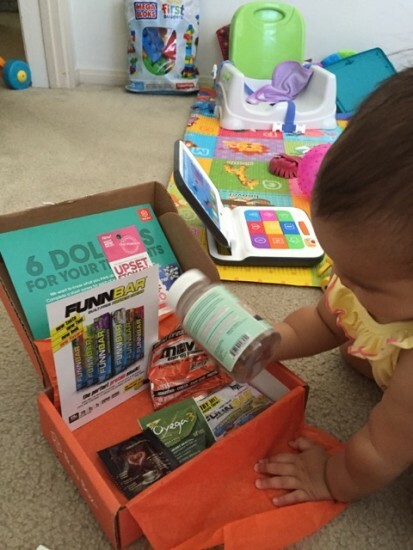 Last month, I received a Bulu Box and this is my honest opinion of my box. My favorite samples were the Movit Energy Gummies and Martha Stewart’s vitamin gummies. (Do you see a pattern?) Movit gummies have the same consistency as gummy candy. Martha Stewart gummies are more like gumdrop consistency. 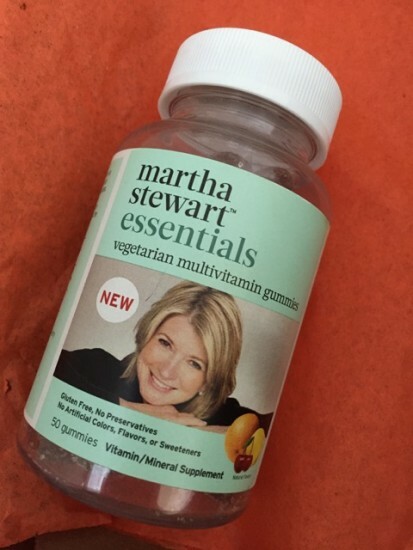 What’s interesting about the Martha Stewart gummies is that they’re vegetarian. I know that many vegetarians don’t like having to ingest anything with gelatin, so this would be a nice alternative! I couldn’t eat the Funnbar chews. They were just not to my liking. I think if you’re used to protein chews, this may still be a little too chalky for you. 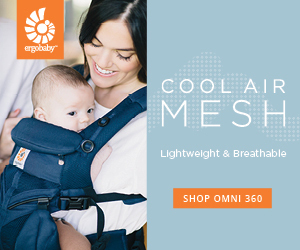 I’ll be honest – I don’t think I would purchase half the products in my box at retail. I’m glad I was able to try out these new-to-me products without having to fork over a ton of money. Now I know I have an alternative to my usual Clif Shot Bloks chews – if Movit Energy Gummies are available, I may just pick those up instead. 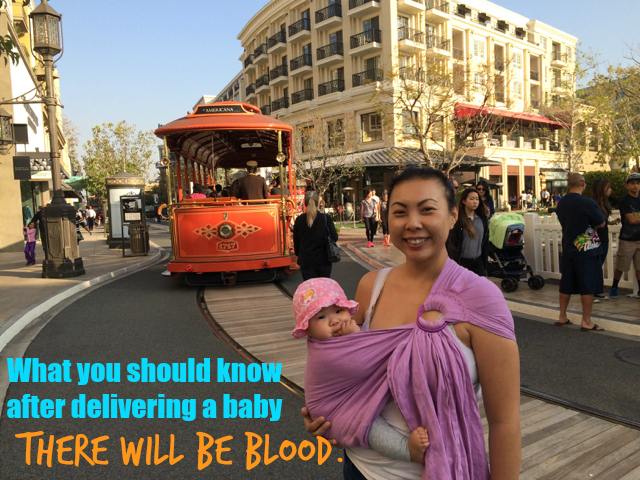 Ok so how does Bulu Box work? 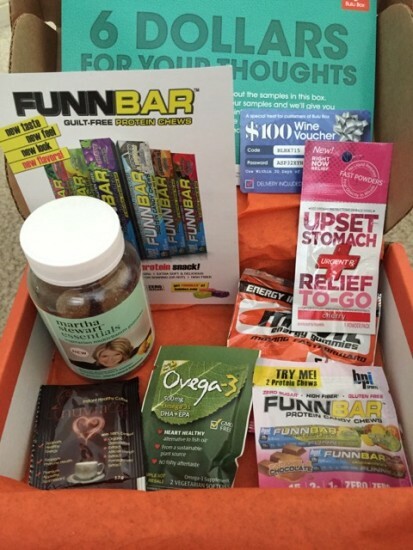 Choose a box – regular or weight loss. 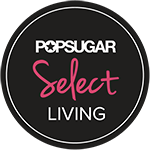 Then you’ll receive 4-5 samples of healthy living products like supplements, healthy snacks or weight loss products. 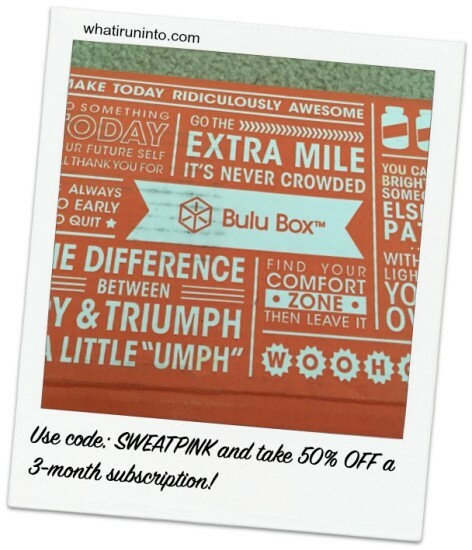 Each box is $10 per month and you get free shipping – yayyyy!! 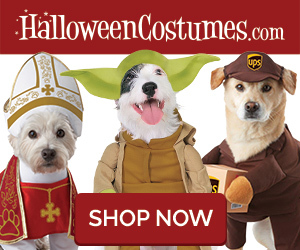 Promo Code – 50% OFF! If you end up ordering a 3-month subscription, let me know in the comments! Heck, just let me know if this sounds like something up your alley! Disclosure: I am a Sweat Pink Ambassador. 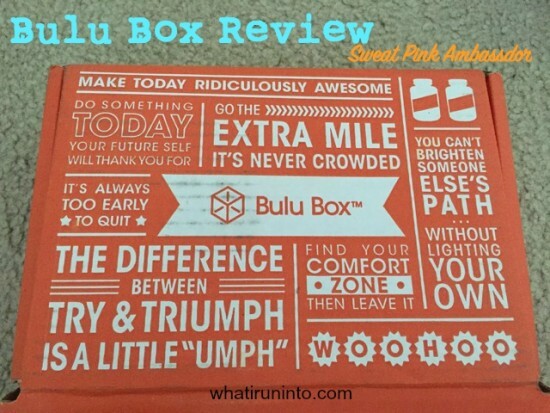 In exchange for my review I received a complimentary Bulu Box. As always, opinions are my own. She’s a megamogul, even post-jail time! I really wanted to make a “Bulu Balls” joke like “I guess since you didn’t love it, you got Bulu Balled” but it’s not flowing off the tongue like I want it to…. ROFL! This is why we are friends. PS – there’s always money in the banana stand!